Our Food Pantry provides nutritious shelf stable and fresh groceries to those in need each Monday from 11:00 a.m. to 3:00 p.m. We serve an average of 200 households per week! All donations are appreciated, however we are generally in short supply of cereal, canned meat or fish, stews and soups, peanut butter, jelly/jam, mac and cheese, canned fruit, rice, pasta, noodles, pasta sauce, dried beans, paper products, and personal care items. 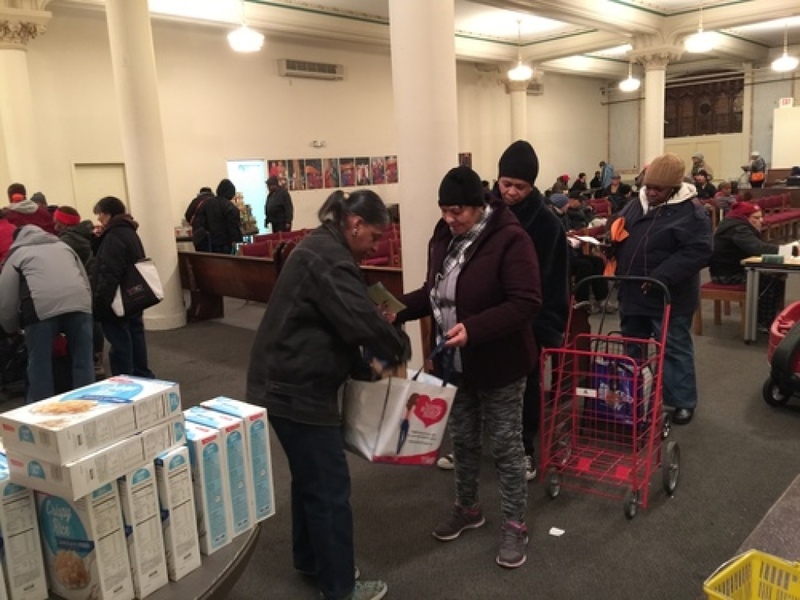 The Pantry is on located on West 96th Street in the lower level of Holy Name of Jesus Church. Please bring your government issued photo ID (i.e. Driver's License, passport, etc.) and proof of address with you each time you visit! We serve residents within the following zip codes: 10023, 10024, 10025, 10026. For residents not within the listed zip codes, we have an emergency food pantry available Fridays from 12 Noon to 1:00 PM. Volunteers are an important part of our Food Pantry! We are always looking for individuals to staff the pantry when open, stocking shelves, and cleaning & removing trash.